Mobil 1 Racing oils are designed to maximize performance on the track. 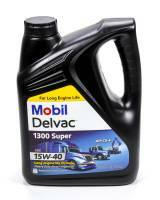 Mobil 1 15W40 Diesel Oil 1 Gal. Pit Stop USA is The Online Motorsports Superstore. Mobil 1 Racing oils are designed to maximize performance on the track. Available in a 0W-30 viscosity and soon in a 0W-50 viscosity, these oils are engineered to deliver outstanding power output while providing boosted levels of anti-wear to protect in a wide range of racing engine applications, including highly loaded flat tappet designs. For more than 30 years, ExxonMobil has collaborated with some of the top motorsports teams in the world. This enables Mobil 1 to test their products in some of the harshest, most demanding environments and to use this experience to develop the next generation of high performance lubricants. Mobil 1 Racing oil technology has been developed using Mobil 1 extensive experience in premier automotive racing series around the world, such as Formula 1, NASCAR, Le Mans, IRL, NHRA, Formula 3, SCCA GT, and ALMS. The variety of demands that each racing series requires of a lubricant helps Mobil 1 ensure that Mobil 1 Racing oils can meet the more extreme conditions encountered on the race track. Mobil produces not only the best-performing motor oils for cars, trucks and motorcycles, they also offer a variety of other products to keep your entire vehicle running smoothly. Choose from six Mobil 1 Automatic Transmission Fluid products tailored to meet the needs of today's driving conditions and the vehicles you drive. Mobil 1 gear lubricants provide outstanding protection even in the most extreme operating conditions or service, and exceed the most severe requirements for many automobile and truck rear axles. Employing the same technology found in Mobil 1 synthetic motor oils, Mobil 1 fully synthetic grease protects hardworking parts from temperature extremes, rust and wear. 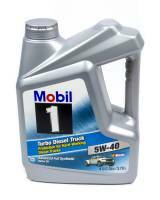 We feature Mobil 1 Mobil 1 Synthetic Motor Oil, Mobil 1 Racing Oil, Mobil 1 ATF, Mobil 1 Gear Oil and more at low everyday prices.